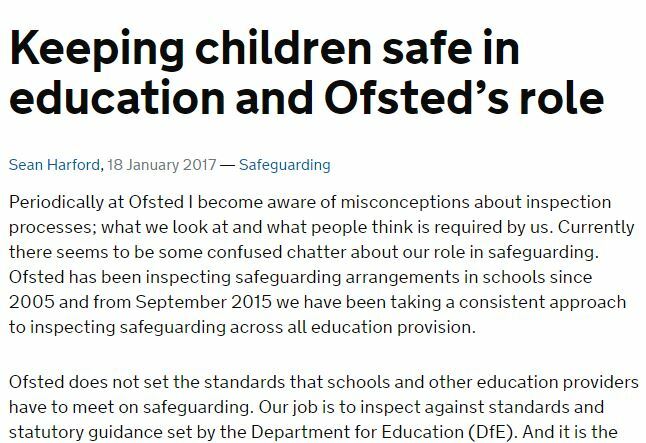 A very useful update from Ofsted, reminding schools of their role during inspection in regard to safeguarding. Myths and tales will always abound and you may hear worrying comments from other schools and teachers. This post from Ofsted sets the record straight on what is and what is not expected. A very useful statement to share with your governors at your next meeting. ← Do you understand Instagram’s terms and conditions?